Traditional Archery: Hobby? Or Life Saving Skill? 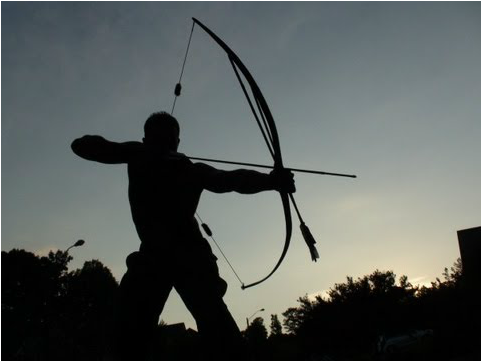 Traditional/Primitive archery is a fun hobby and it might just save your life in a survival situation. If you really get into it you can make all of your gear, and almost nothing is more satisfying than taking game with something you built yourself from scratch. You may think that by shooting modern archery equipment, you are building muscle memory that will help you in a survival situation with primitive equipment. This is not the case. Everything your muscles are being trained for will be different with primitive or traditional equipment. The draw is completely different on a compound bow than either a recurve or longbow. Your anchor point will be different when not using a release along with a slightly longer draw. In short it is similar in appearance only. Shooting by instinct is much different that using the peepsight on your compound. This takes practice or what many call “stumpjumping”. Aside form target shooting woods loafing with your bow and shooting stumps and trees at varying ranges and conditions will improve your shooting tremendously. I have never shot a graphite arrow. I still have a few old aluminum arrows that were new in the 60’s and have antique broadheads on them. 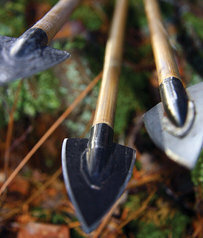 Most of what you will be shooting in traditional circles is wood shafted arrows. With a little research you can find how to make your own shafts from scratch. 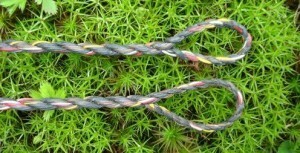 If you must you can dismantle one and have several lengths of prime cord for other uses like snares or fishing line. If you start hunting traditional now, if the time comes where you need archery skills in a survival situation, you will have them in place. 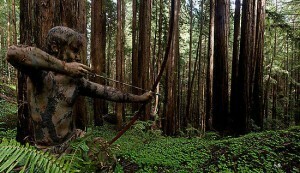 Traditional/Primitive archery is an excellent skill to have just in case.